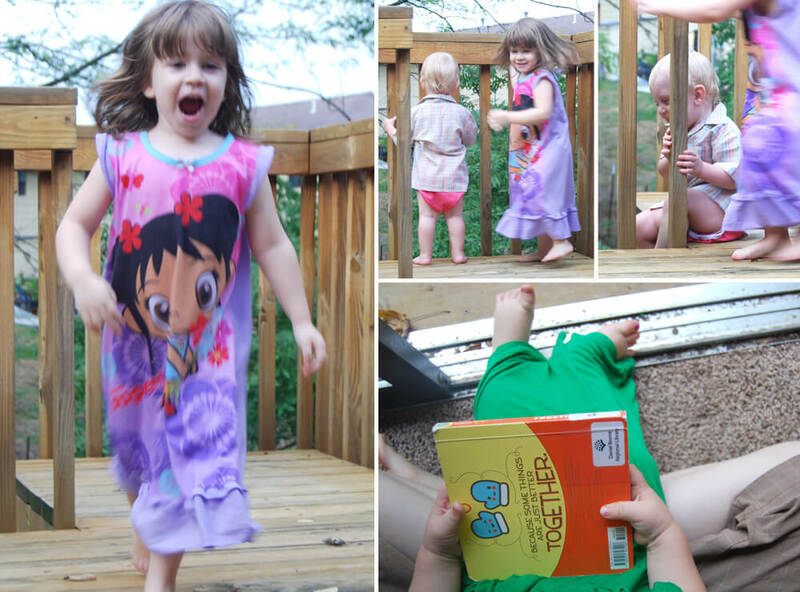 After dinner we played outside in our pajamas, reading books and running on the deck. Today we had a cook out with some good friends! 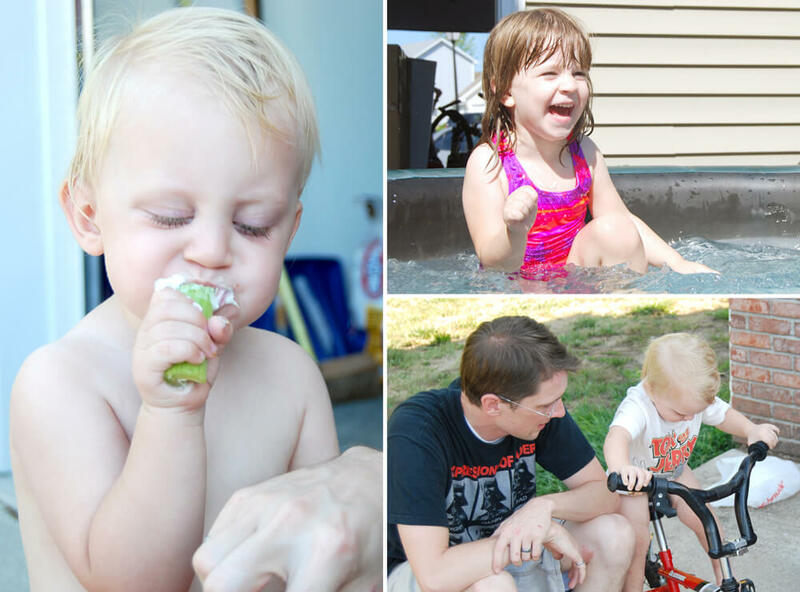 We played on bikes, splashed in their pool and ate lots of yummy grilled food. 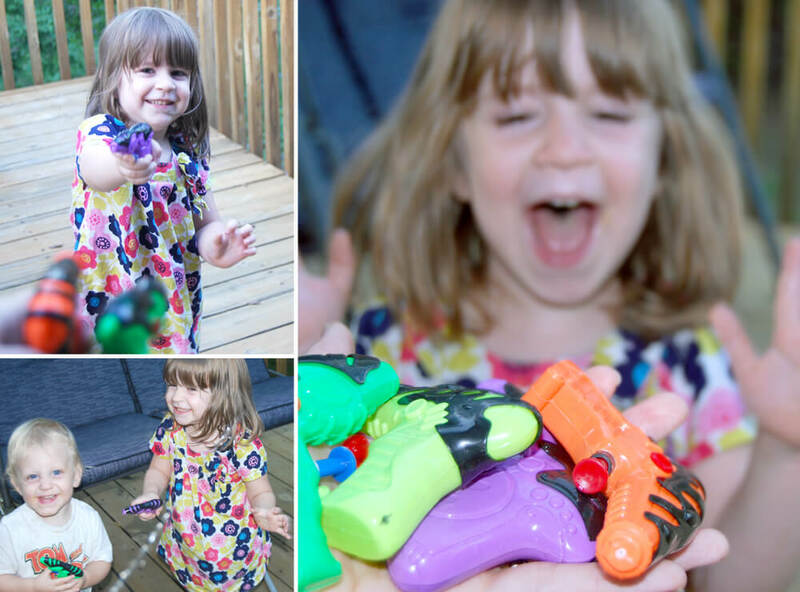 I brought home a little surprise for the kids today, some mini squirt guns! (They were only 75 cents! Go clearance section!) Juniper was very excited, can you tell? Flynn kept wanting us to squirt the water in his mouth. 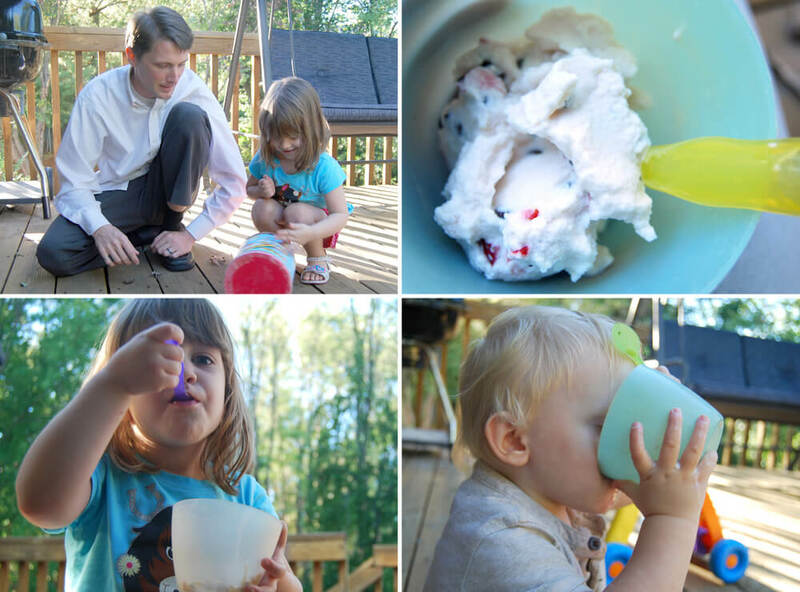 Today we made some home made ice cream with chopped strawberries and chocolate chips! We used my hot air balloon tin to roll it around until it was all frozen. 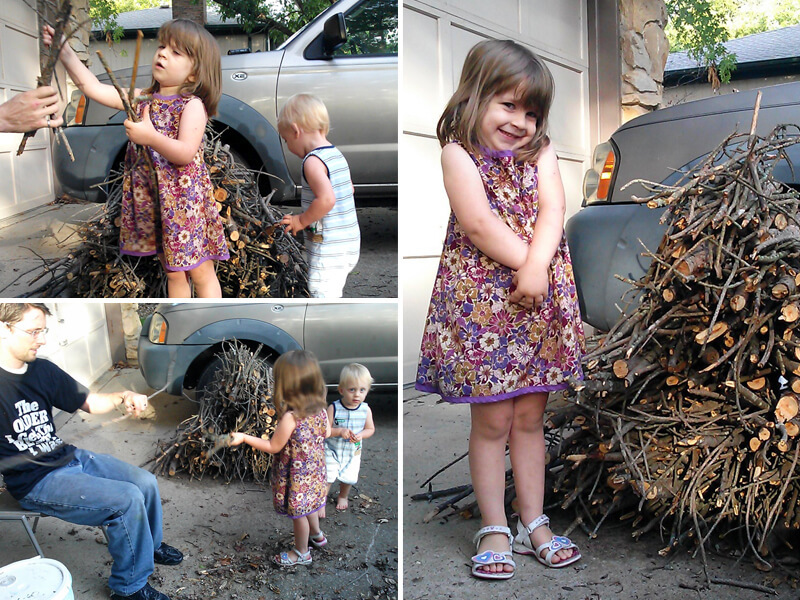 The rolling was COLD, but the kids both helped. And they both inhaled their ice cream when it was finished. The weather was absolutely beautiful today so we did some yard work in the front yard. While I cleaned up the leaves, the kids drew with sidewalk chalk in our driveway. Juniper took a photo of me with Daddy, and somehow Flynn ended up with a waffle. He always seems to be eating a waffle these days. Daddy took these pictures while I was at work. 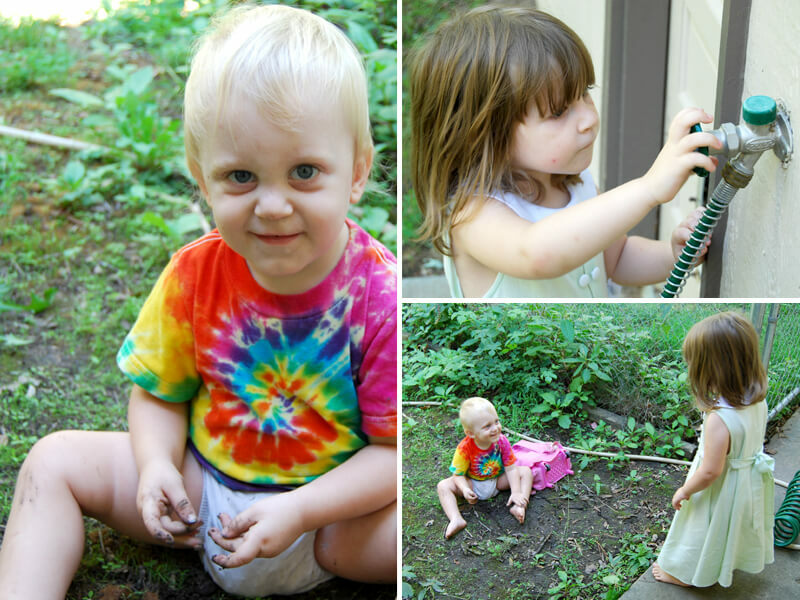 They play outside all the time, but he always forgets to snap a couple pictures for me. They both really like playing with that hose and trying to get it to work. Flynn also really likes dirt. When I came home from work today, the kids were in the driveway helping Daddy cut up some wood for a friend of ours who is going camping this weekend. They forgot to come pick it up though! So now we have lots of wood, chopped up and ready to burn. Daddy had planned on going camping with his friends tonight, but he twisted his ankle pretty bad and decided to stay home. 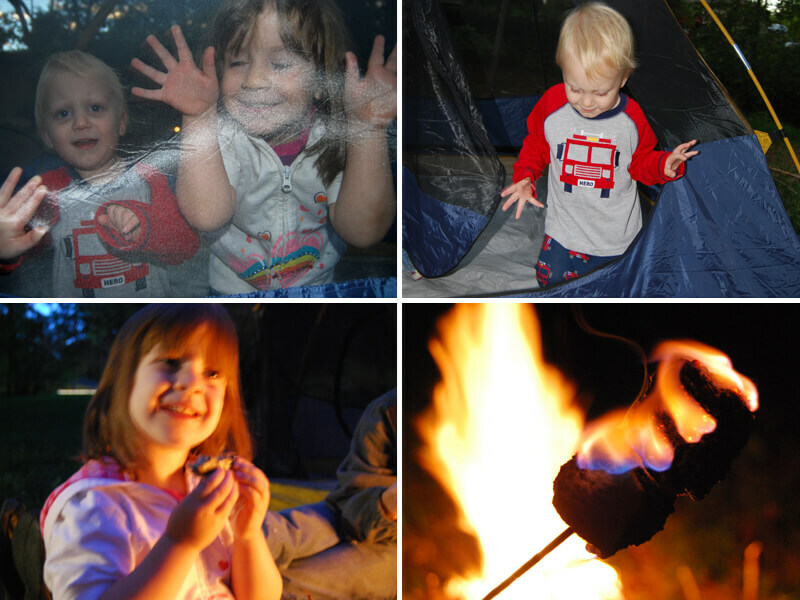 So instead we set up the tent in our back yard and had a little fire. We even ran to the store real quick to buy smores stuff! Can’t have a fire without marshmallows. 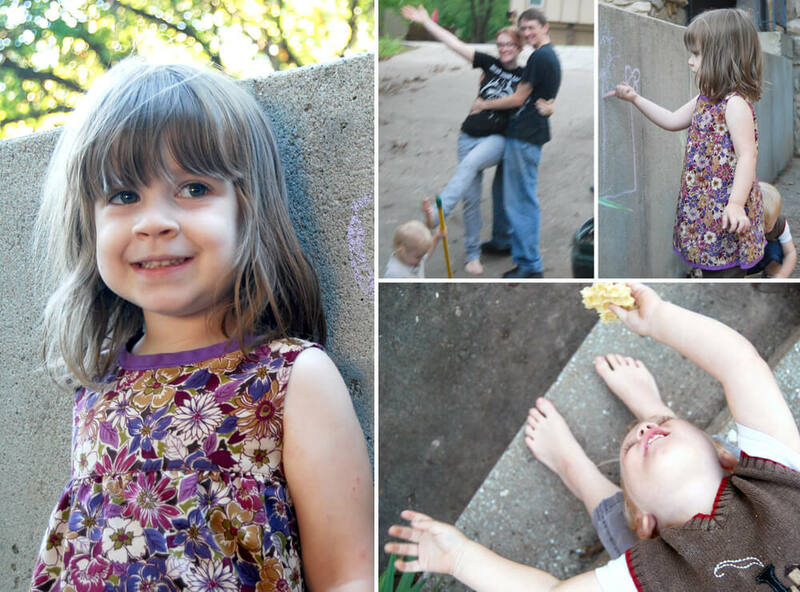 September 15, 2012 in 365 Days Outside, With Images!.